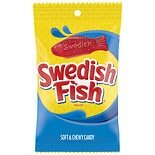 Shop Swedish Fish Candy (3.1 oz. )3.1 oz. 4 for 4 dollars and 00 cents or 1 for 1 dollars and 69 cents 4/$4.00 or 1/$1.69$0.55 / oz. 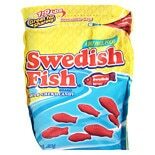 Shop Swedish Fish Red Candy Bag (30.4 oz. )30.4 oz. 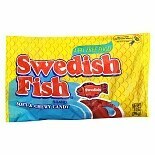 Shop Swedish Fish Soft & Chewy Candy (14 oz. )14 oz. 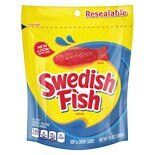 Shop Swedish Fish Red Candy Resealable Bag (10 oz. )10 oz. 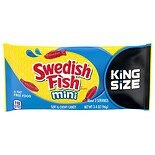 Shop Swedish Fish Red Candy King Size (3.4 oz. )3.4 oz. 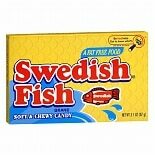 Shop Swedish Fish Soft & Chewy Candy (8 oz. )8 oz.